Since I last posted about Shawn's job at the insurance company, he has actually quit and gotten a new job! The former job just wasn't a fit for him and for us. We literally only saw each other for about 30 minutes a day because of our clashing schedules. We are praising the Lord for this new job and are just so thankful to both be employed! On that note, we had a lovely dinner tonight as a little celebration. You know... celebrating always means yummy food at our house. It was the absolute "comfort" meal and we savored every bite. You must check out Joy the Baker's website. 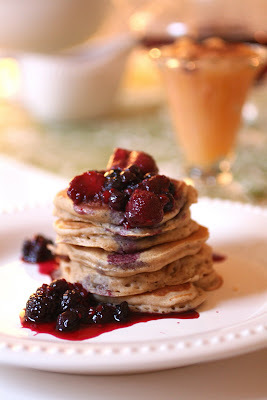 Her blog has tons of creative, easy recipes with gorgeous photos. It's my new go-to recipe website when I want to make something special and unique. Oh man, that sounds killer! And that chunky apple sauce... Mama makes that. Shawn knows it well. I think it's amazingly easy.... at least it's amazingly easy to eat. Maybe she'll give you the recipe?